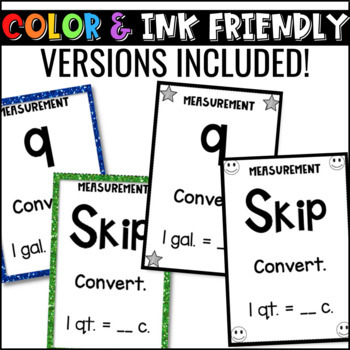 Measurement conversions are important for you to teach and for students to learn! 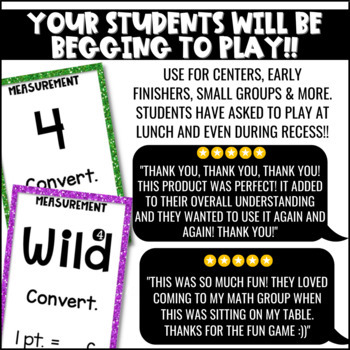 Let them practice with this fun and engaging game that will make the skill of converting both customary and metric measurements something students WANT to do! Works great for math centers / stations or small group. Students will be begging to practice measurement with this activity! I’ve had many students ask to play at recess and even lunch! ***What do you get? 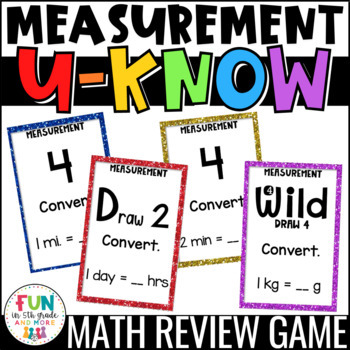 ***U-Know Cards 56 cards with a measurement amount and what it needs to be converted to. Students will have to say the conversion when they place the card on the pile. Cheat Sheet with all conversions and abbreviations on it. Direction SheetAnswer Key I use the answer key to differentiate learning, especially when a concept is still new. They can use it as a tool in the beginning until they practice more. *basic conversions for both customary and metric measurements! 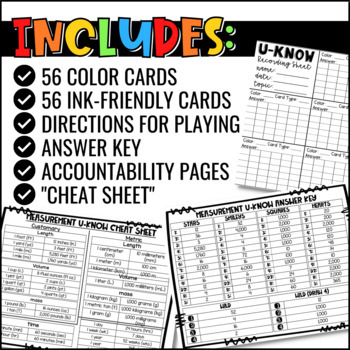 What is U-Know?U-Know is a fun and engaging card game where students practice topics in a repetitive way. I also use U-Know in stations or with early finishers throughout the year to spiral concepts for students. U-Know comes in MANY topics! So, once students learn the game, it will become a self-run station! ✔ SUPER MEGA U-Know Bundle: Biggest SAVINGS!! So please double check what's included if you've purchased any of those. I also have ELA U-Know Games!!! Fun in 5th Grade TpT Store for even more fun and engaging games!